And I lamented and sorrowed and burned in my core and lived like one removed in spirit. But he came at his own will and, descending like a bright cloud of mist, seemed to surround my head entirely, so that I cried out in consternation. But he, flying off again, left me alone. And when I laboriously sought him I suddenly came to know that he was in myself, and in the center of my heart he appeared like the light of a sun, round as a circle. When he had revealed himself thus, and I had recognized and received him, he put the whirlwind of demons to flight, repulsed my cowardly dread, put strength into me, stripped my soul of earthly thoughts and reclothed me with the thoughts of the spirit. From the things that are seen he severed me, and with those that are not seen he connected me. He permitted me to see the uncreated and to rejoice that I have been sundered from the created, from the visible, from that which swiftly passes away, and am united with the uncreated, the immortal, which has no beginning and cannot be seen by anyone. Such is mercy. Source: Martin Buber, Ecstatic Confessions, San Francisco: Harper & Row (1985), p. 39-40. For I was in terror. I saw it like a solar disc. For that’s what love is. Source: George A. Maloney, trans., The Hymns of Divine Love, New Jersey: Dimension Press (1975 & 1999), Hymn 17, p. 68. I saw it fasten on me and settle on my head. Thus it flew away, and left me alone. I saw it like the disc of the sun . . . It gave me the grace to see the Uncreated . . . Source: John McGuckin, “Symeon the New Theologian’s Hymns of Divine Eros: A Neglected Masterpiece of the Christian Mystical Tradition,” Spiritus 5 (2005), The Johns Hopkins University Press, p. 195-196. In other places Symeon says the light is like a fire or flame. 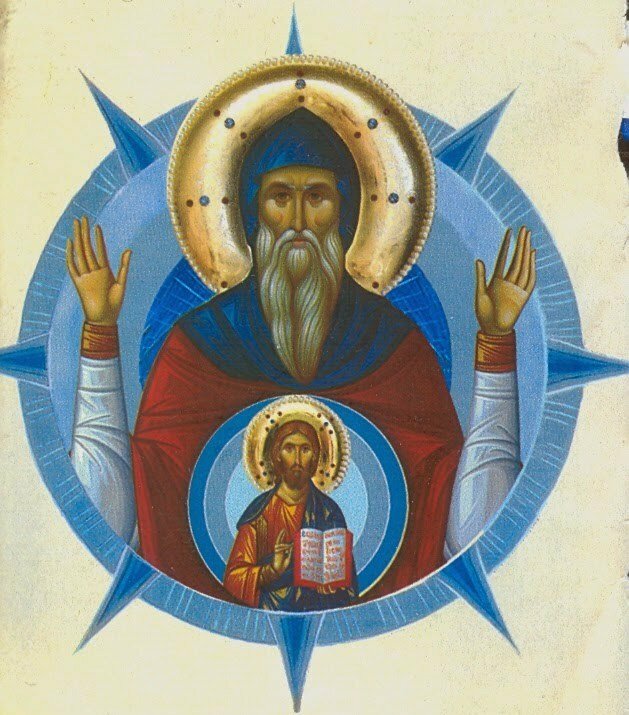 Pingback: Another “First Vision” Account from St. Symeon the New Theologian – Thy Mind, O Human!